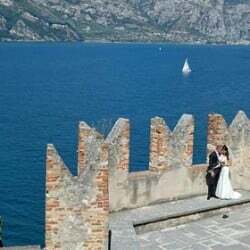 Home » Lake Garda Weddings » Venice Weddings » Venice weddings: the most romantic way to celebrate your love! 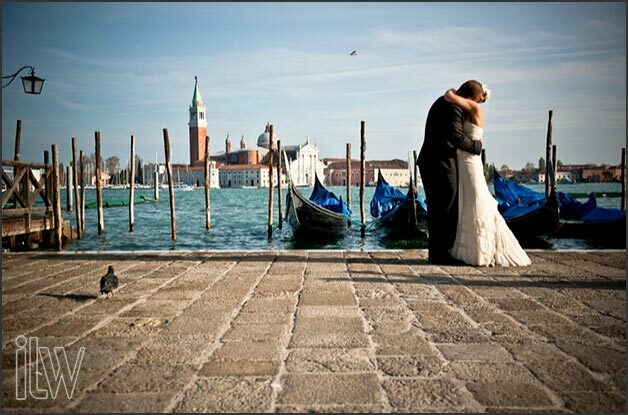 VENICE is the city floating on water, the perfect frame for your dream wedding with its uniqueness and its exquisite beauty. 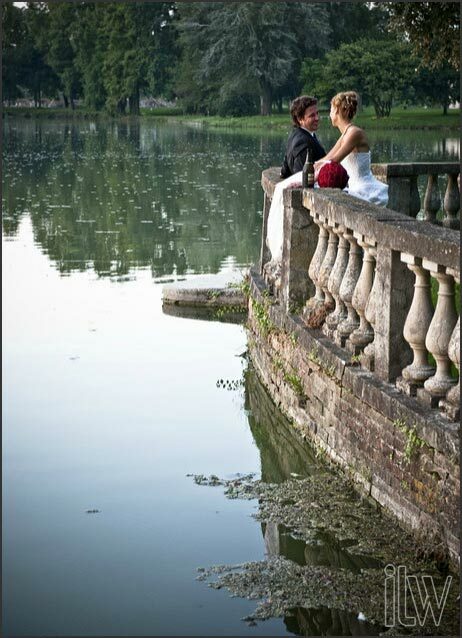 The ancient palaces along Canal Grande melt with baroque decorations, heavy bridges, tight canals, countless art treasures and its rich history and culture, could create a charming and romantic setting for your wedding. 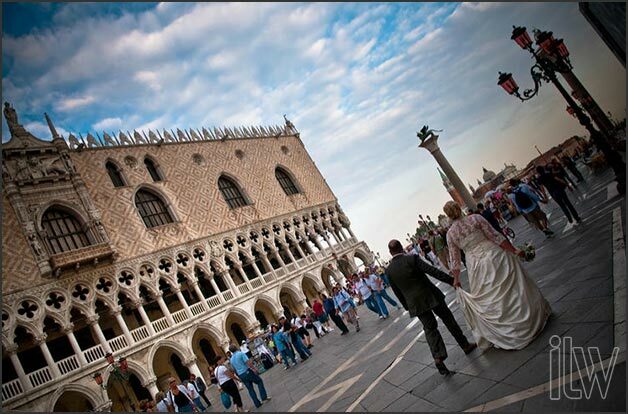 If you are looking for a synonym of dream wedding you can surely think about Venice. 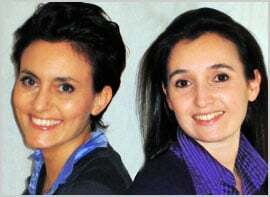 Angela and Katiuscia are our lovely planners for Venice. They are both experienced professionals. Both studied architecture and worked in Venice, experiencing it. They will guide you through the entire process of planning a wedding in this enchanting city without stress. 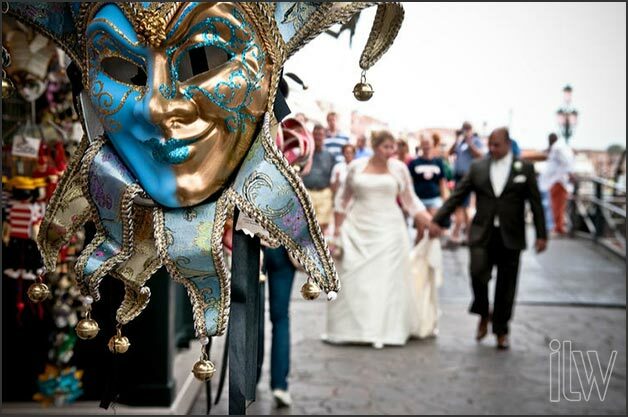 You could fully enjoy your special day in Venice! 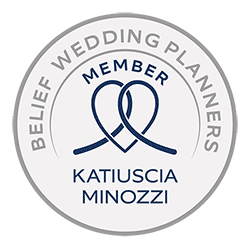 Engagement parties, vows renewal, symbolic weddings and blessings that can be celebrated in a quiet garden, in a historic building, in a gondola or anywhere else your imagination can suggest. 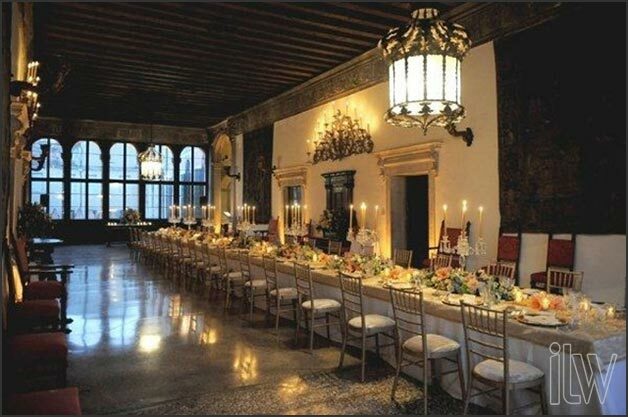 Your Civil Ceremony have to take place in one of the venues designated for this by Venice Municipality (Palazzo Cavalli, or Sala degli Stucchi in Ca’ Farsetti, Ca’ Vendramin Calergi). See the official website of Venice Municipality. 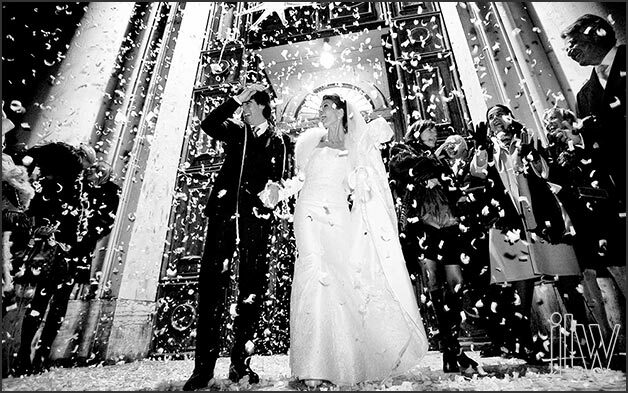 Most of the civil ceremonies are celebrated at Palazzo Cavalli. 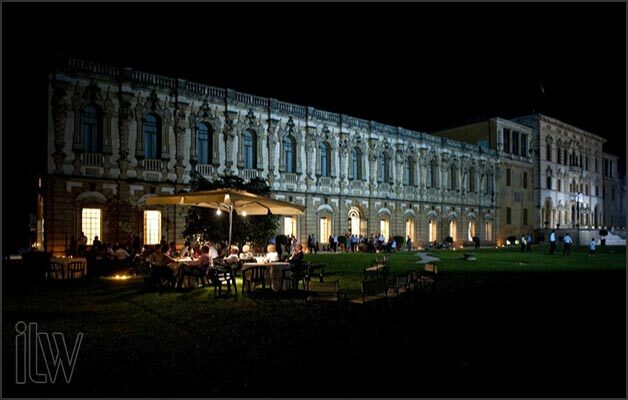 It is beautiful Renaissance building overlooking the Grand Canal. 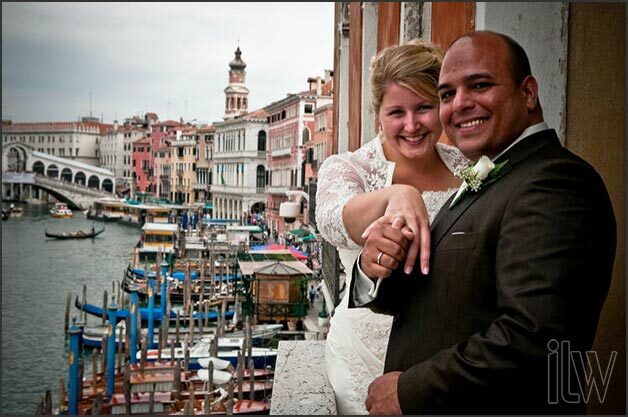 From the balcony of the marriage hall you can enjoy a splendid view of Rialto Bridge. The three rooms available for weddings are elegantly furnished. The main hall is the largest and can accommodate about thirty people seated. A large window, which gives access to the balcony on the Grand Canal, allows the beautiful Venetian light floods the room. 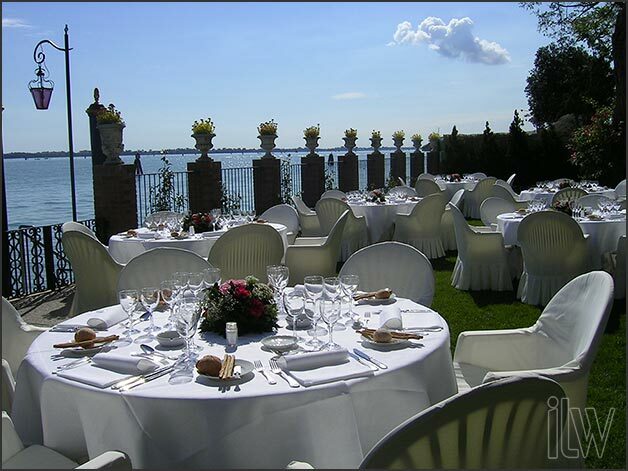 Ca’ Farsetti is the ideal place for weddings with more than thirty guests. 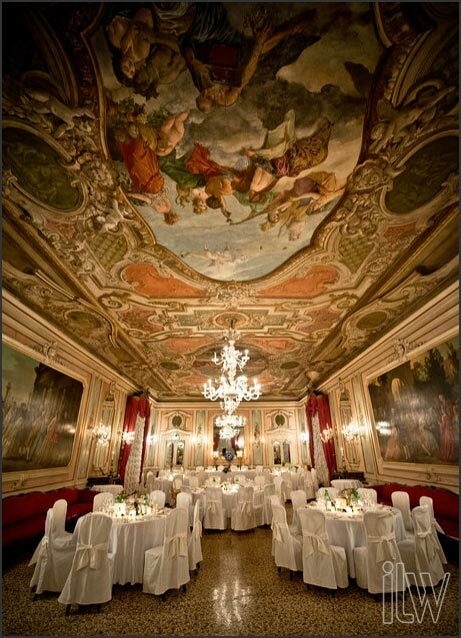 Sala degli Stucchi, particularly sumptuous and elegant, can accommodate up to one hundred people. Ca’ Vendramin Calergi is a wonderful venue, ideal for a wedding with 30/60 guests, and boasts excellent reception facilities. The elegant building, a majestic presence on Grand Canal, hosts the game rooms for Venice Municipality’s Casinò on its second floor. 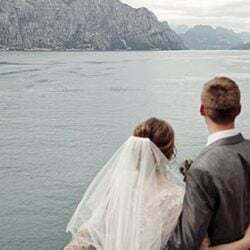 Whatever the location your will chose, we will provide you with a list of the documents required for this by the Registry Office of Venice and by your respective Embassies in Italy, and assist you with all the necessary bureaucratic and administrative processes. 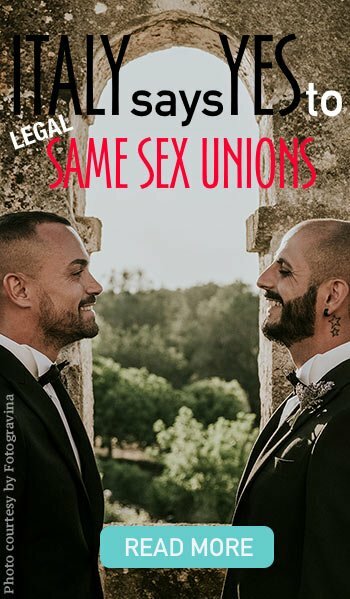 International Marriage Certificates are granted immediately after the ceremony. 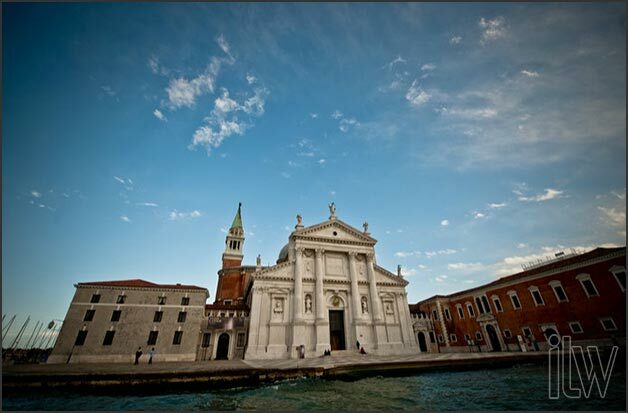 For your religious ceremony Venice offers a large range of spectacular churches: small and intimate hidden in some secret corner of the city, or grand and overlooking the lagoon. 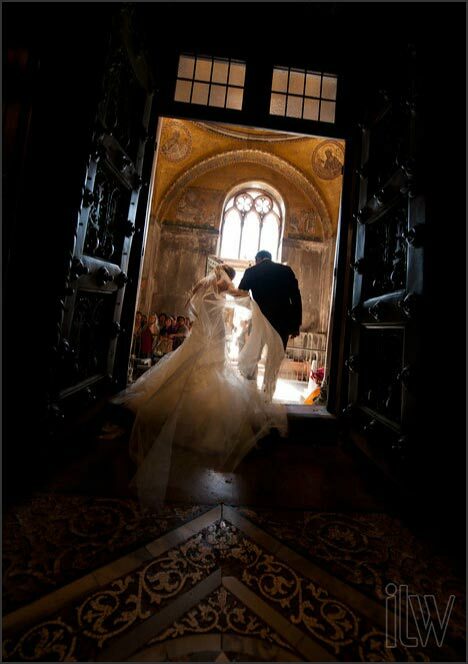 One of the most evocative venues for a catholic ceremony in the heart of Venice is St. Mark’s crypt. The hall of the crypt was built in the 11th century and lies below sea level. 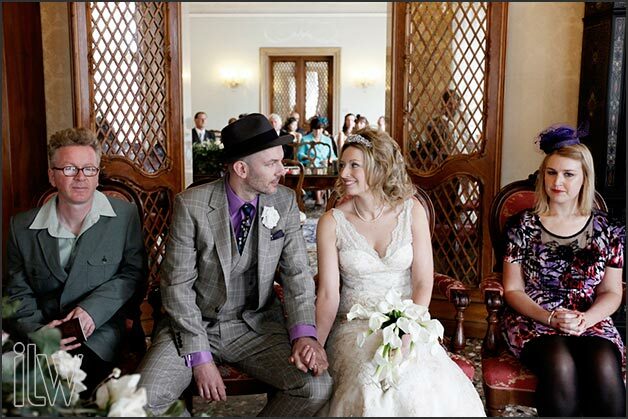 The interior, dark and very intimate, is ideal for a romantic wedding with close family and friends. 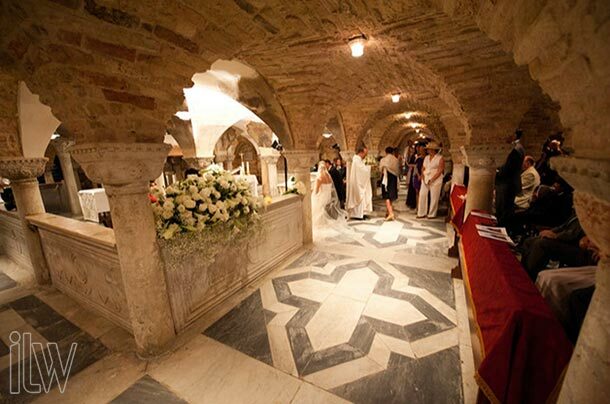 St. Mark’s crypt is ideal for a romantic wedding with close family and friends. 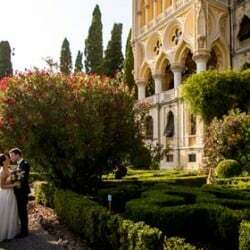 S. Fosca on Torcello island: for an intimate and evocative ceremony, this venue offers the special frame of a church surrounded by greenery on the island called “the garden of Venice”. A truly unique architectural jewel, it dates back to the 11th-12th centuries. Built on a central plan, it is surrounded by an octagonal portico. The inside is an essential space, typical of the Romanesque churches, that captures and envelops with its harmony between architectural proportions and light. S.Giorgio dei Greci – it is the oldest Orhtodox church in Western Europe, for centuries one of the most beautiful Orthodox churches in the world. Inside you will be enchanted by the splendour of gold and polychrome icons and its spectacular mosaics. 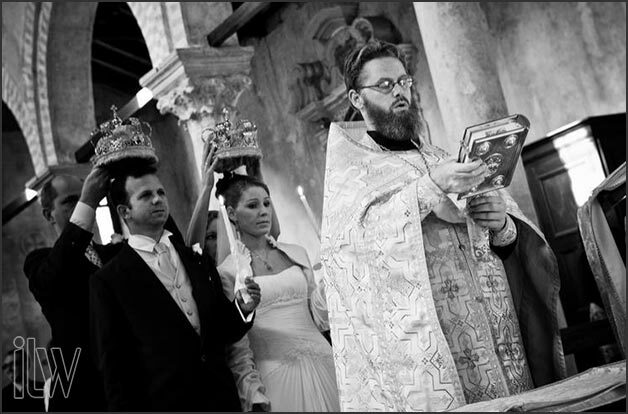 Without doubt an enchanting venue for an Orthodox wedding. St. George – The Anglican church is in a beautiful part of Venice, in the Dorsoduro district, and is located in a “small square” a few steps from the Grand Canal. 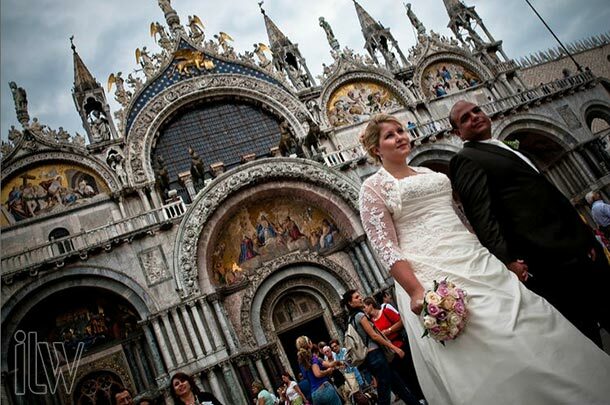 The service will be a Blessing of your Marriage, and you will have to obtain a legal marriage certificate beforehand, which the Chaplain has to see (this can either be done in Venice the same morning, for which you have to contact the Consulate office or in advance at the Registry office in your country). 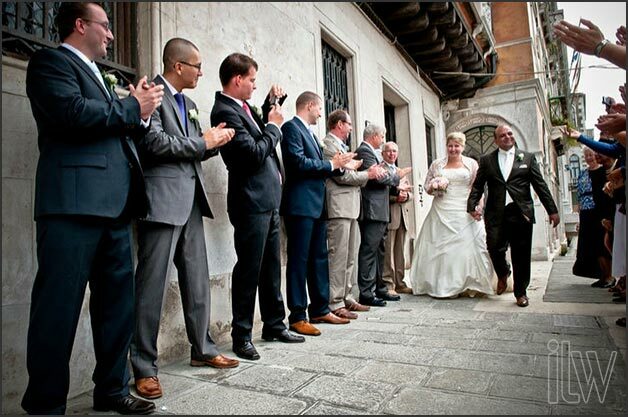 Jewish ceremony – the Jewish Ghetto in Venice is the oldest in the world, dating from 1516. There are four synagogues in Venice, of different sizes: three Ashkenazi and a Sephardi (Spanish School). The interior of the Spanish School is amazing, a combination of Byzantine and Venetian style. It can accommodate up to 250 people but is also suitable for more intimate ceremonies. The Chuppah used during ceremonies is several hundred years old. 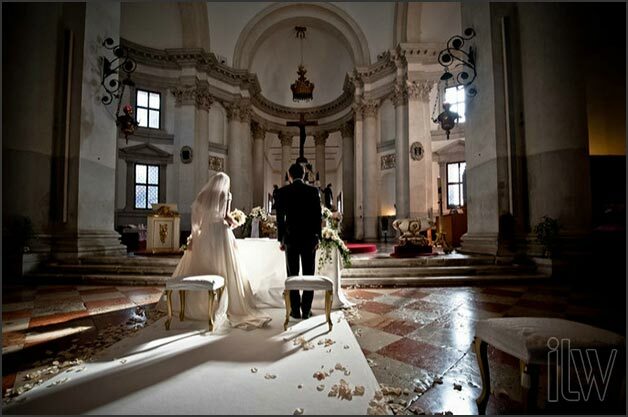 Traditional Venetian weddings reception is often held in the magnificent salons of private Palaces. Renting a private palace is one of the most fascinating ways to experience the splendour of this city and enjoy a really unique day. 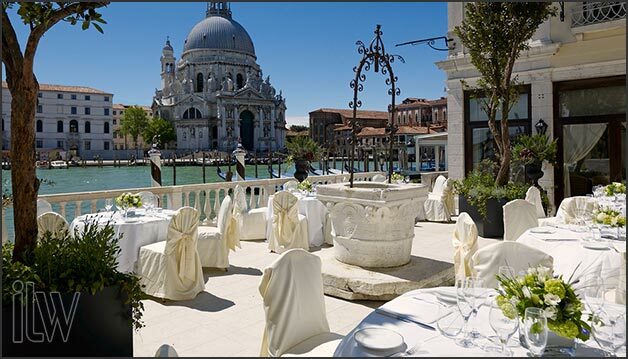 We can offer several options; depending on your possibilities and preferences we can guide you in choosing one of magnificent facilities on Grand Canal. Other usual options for big parties are terraces, gardens or luxury hotel function rooms. 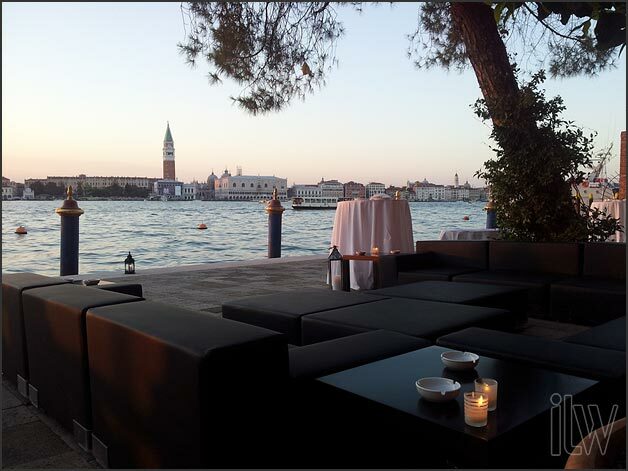 For smaller and intimate celebrations a corner in one of the top Venice restaurants or secret garden of this city could be the best option. 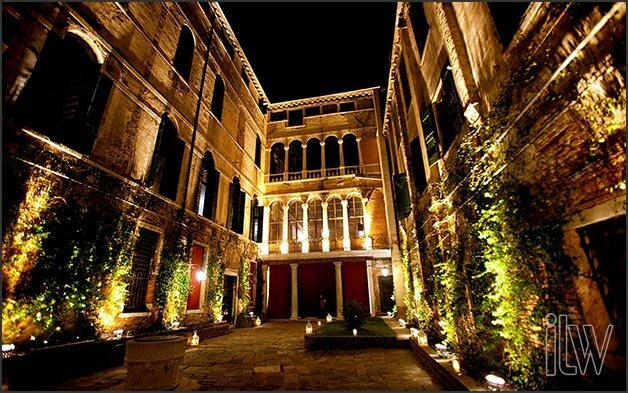 Depending on whether you prefer an intimate atmosphere, elegance of a great old hotel, or a unique and charming frame as a private palace, we will guide you and your guests to discover an unknown Venice, away from the usual routes and full of charm and mystery. 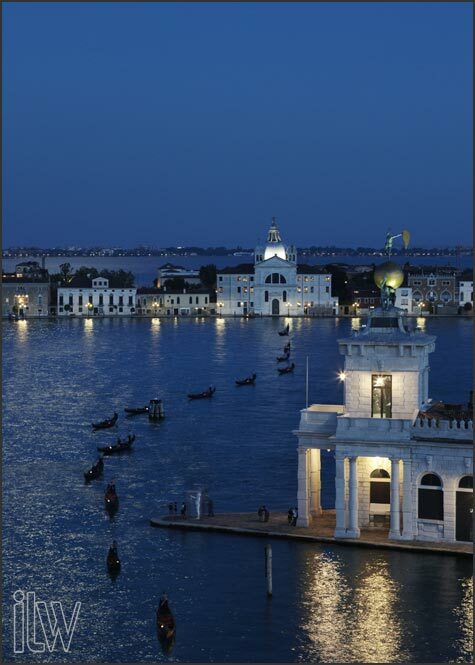 In Venetian surroundings there are many beautiful villas dating back to 16th and up 18th centuries. The most famous were built by Andrea Palladio, the genius of the Venetian Renaissance architecture. He also influenced English architectural tradition. Villas are generally located in a charming garden or large park. 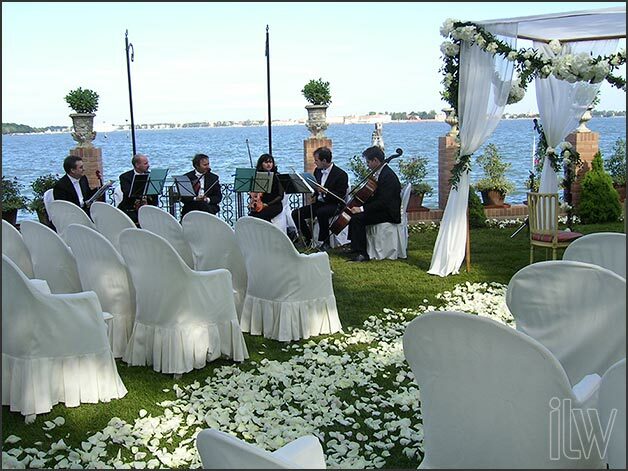 After your wedding day we will suggest how to make even more special your celebration with an unforgettable honeymoon on Venetian lagoon and its surroundings. 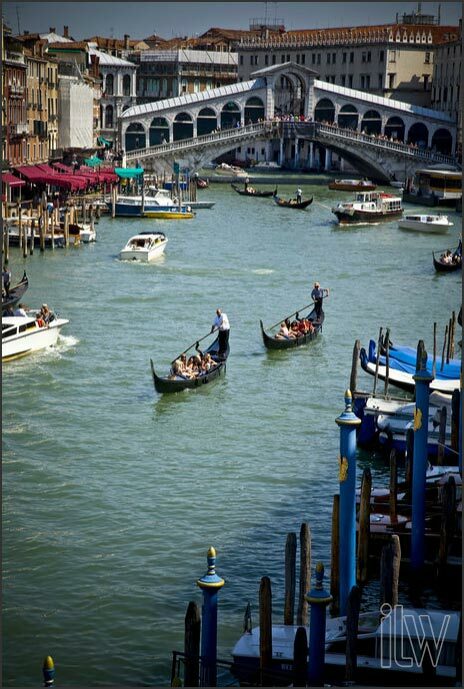 Come to discover that what Venice has to offer will be more that you expected! ← FROM PARIS TO LAKE COMO for a wedding… AVEC AMOUR! 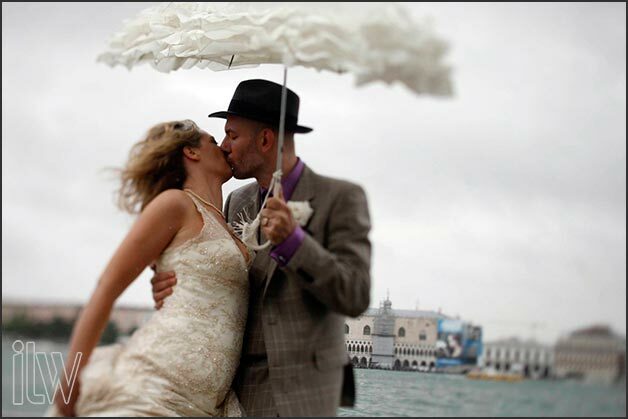 4 Responses to Venice weddings: the most romantic way to celebrate your love! Hi Wanda, thanks for your kind request. 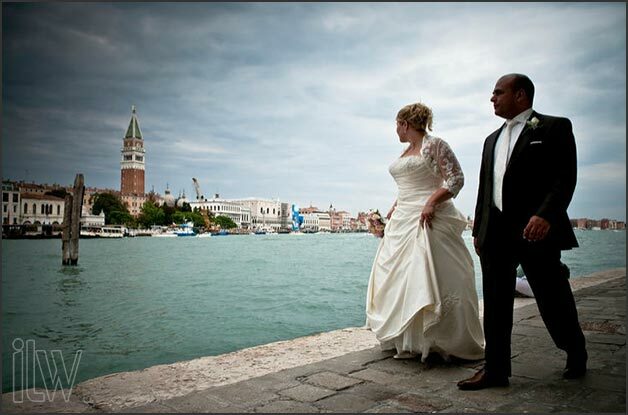 Venice can be a lovely frame for a fairytale wedding! I’ll send you some first information very soon. 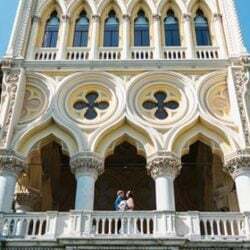 Me and my fiancée are looking to have our wedding in Venice and do not know where to start?? How does your services work? thank you for your request on our website! 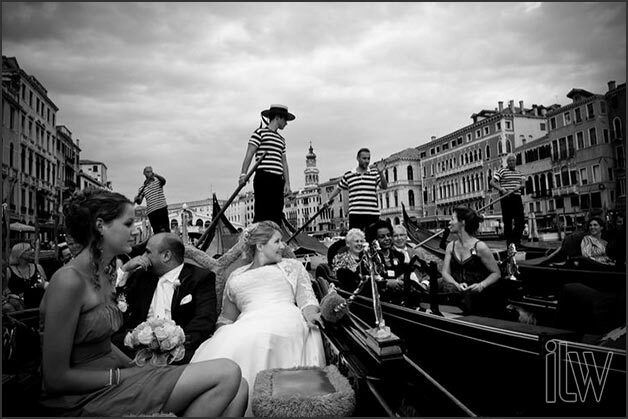 Venice can be a wonderful frame for your wedding, I’ll send you some first information and proposals by email very soon.